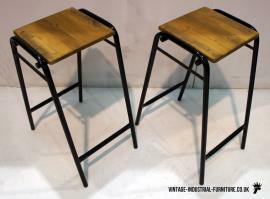 A range of vintage industrial seating, including chairs, stools and benches. 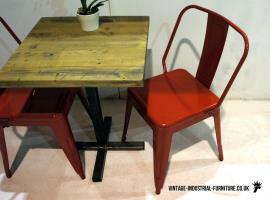 Materials used in our vintage industrial seating includes wood and steel and each piece is usually available in a variety of colours and finishes. 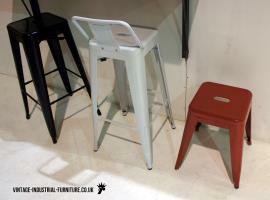 We can also supply to order colours which aren't shown. 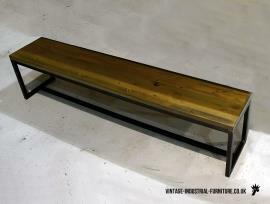 A popular choice is to have one of our Grafik seating benches on one side of a table and chairs on the opposing side. 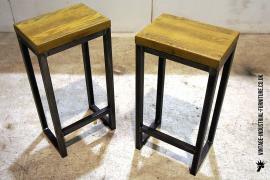 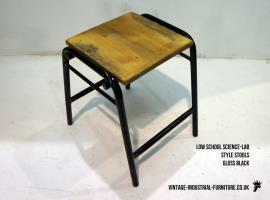 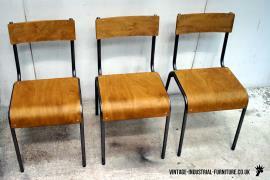 Our selection now includes new vintage industrial seating designs such as our old school chairs and stools.